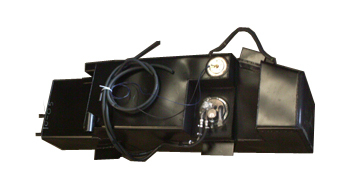 This tank replaces the OEM plastic tank and uses the same fill and gauge. Tank is no lower than the frame. This tank is only installed in our facility, we will not ship.